If you are an EU citizen and have been living in the UK lawfully for over 5 years, what do you need to do to regularise your status in the UK? In short, the best way to secure your rights in the UK is to obtain naturalisation in the UK. The Prime Minister, Theresa May, said, “the UK may take no deal rather than a bad deal”. A 82-page sensitive document dated August 2017 was leaked at the beginning of this month and it proposed measures to reduce the number of low-skilled EU migrants. As negotiations with the EU continue, the countdown to the UK leaving the EU is underway. There are approximately 3.3 million EU citizens presently living in the UK, and this lack of clarity has left them with considerable concern. If you are one of them and are reading this article, there is a chance that you may not be able to live, work, and remain in the UK just as you can now. Therefore, it is better to regularise your status as soon as you can to avoid any worries that you may face as the UK leaves the EU. If you are a national of an EEA country and have been living in the UK lawfully for over 5 years, what do you need to guarantee your rights in the UK after Brexit? 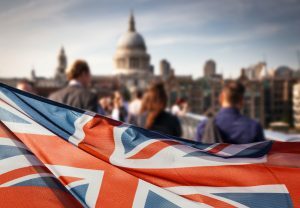 If the countries of your other nationalities allow dual-citizenship and you do not mind holding more than one passport, the best route for you is to apply for British citizenship by naturalisation as early as possible. Under the present scheme, you only need to apply for a document certifying permanent residence in the UK if you are an EEA or Swiss national. This can be done online or by completing a paper application form. After you have obtained your permanent residence status, you must hold your permanent resident status for 12 months before you can make an application for British citizenship by naturalisation. You must usually have spent no more than 90 days outside the UK in the last 12 months prior to making this application. The application for a permanent residence document costs £65.00. For further information in relation to obtaining a permanent residence document, please do not hesitate to contact our expert UK immigration solicitors at Taylor Hampton. I am travelling out of the UK within the next few months. Should I delay making an application for British Citizenship by naturalisation, since the Home Office requires my passport as evidence for my application? The process for a British Citizenship application by naturalisation can take up to 6 months. You should provide documents to support your application. If you are concerned about submitting your original documents or you want to travel within the next few months following your submission of a British Citizenship application, there are ways to submit your British Citizenship application without providing the original of your passport. This will allow you to travel out of the UK before your British Citizenship by naturalisation is granted. If you want to know more, please do not hesitate to contact us. Will you lose your EU citizenship? Each EU countries have different rules for dual citizenship. Some countries allow dual citizenship, some do not. If you want to know whether your EU country or your country allows dual citizenship, please do not hesitate to contact our UK immigration solicitors at Taylor Hampton. Are you are an EU citizen and have been living in the UK lawfully for less than 5 years? If you want to secure your rights in the UK after Brexit, depending on your individual circumstances, please contact our expert UK immigration solicitors at Taylor Hampton to further assist you.